Bill has been at Down Wind since 1992 after he graduated from Northern Michigan University with a masters degree in Community College Teaching/Outdoor Recreation. 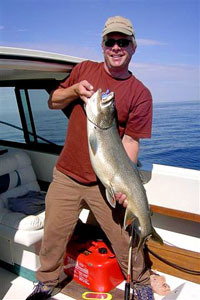 While at Northern he was the director of the Outdoor Recreation Center leading adventure trips throughout the country. He also taught classes for the outdoor recreation curriculum. His store responsibilities include buying, marketing, events coordinator and maintaining web sites and social media. (Funny because he is a self proclaimed computer illiterate). In the summer Bill can usually be found climbing at the local crag, paddling the shores of Lake Superior, or backpacking at his favorite spot in the U.P.- the McCormick Tract. 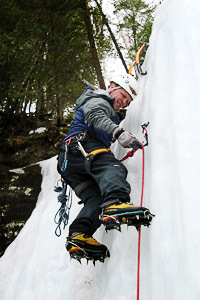 When the snow flies Bill is an avid telemark skier and ice climber. International travel is also a passion and every year you can find Bill and his family adventuring in some exotic location around the world. A little known fact is that Arni, his partner in the Houghton store is his best friend and college roommate – and yes he does have many stories to tell. Todd King is originally from Fraser Michigan. He came to Marquette in the fall of 1987 to attend Northern Michigan University. He graduated in 1991 with a double major in conservation and outdoor recreation. He also has an extensive experience in adventure education. Todd brought his experience to Down Wind Sports in the spring of 1993. Ever since then he has been able to enjoy everything Marquette and the Upper Peninsula has to offer. He primarily skis in the winter and kayaks, and mountain bikes in the summer. Doing what he loves with his wife and 3 kids brings the biggest enjoyment of all. Along with day to day job duties, Todd is responsible for hiring and managing all of the Down Wind Sports staff. Todd is also the primary buyer for many of the products at Down Wind, including alpine skis, camping equipment, kayaks and accessories. Jeff has been at Down Wind Sports only slightly longer than Todd. Growing up in the mountains of Colorado, he was raised with a strong bond to the outdoors. He started working part time at the Marquette store while attending Northern Michigan University. He skied on the N.M.U. Nordic ski team and brings his knowledge of cross country skiing to our stores. After graduating, Jeff, Bill and Todd became business partners and purchased the Marquette store and shortly after, added the Houghton location. Jeff is still actively involved in the Cross Country ski community in the area and has started to really enjoy the exploration of back country skiing in addition to still strapping on the skinny skis regularly. 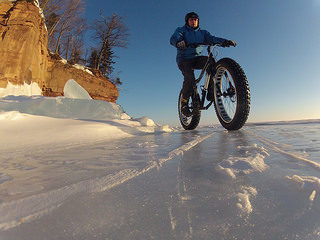 When the snow melts, you will find Jeff on his mountain bike or sailboat when he is not working. Jeff is in charge of all of Down Wind Sports cross country ski programs and lessons. 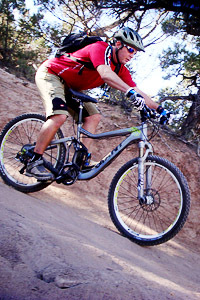 He and his wife Melanie also have developed and implemented a program for youth mountain biking. For ten years Jeff and Melanie (with help from other employees and volunteers) have been riding with local kids every week to develop life long mountain bikers in the Marquette area. In 2010 Jeff and Melanie became parents and now look forward to new ski, bike and sailing adventures with their daughter. Say hello when you pass him on the ski trails, as this winter Jeff might be a little slower due to the Chariot trailer he’ll be dragging behind him. Arni Ronis graduated from Northern Michigan University with a bachelor degree in Outdoor Recreation and a minor in business administration. After graduating he went on to work for the Department of Defense on two different military bases providing outdoor recreation experiences for the military. Most recently, for the past 10 years, he has been the co owner of our Houghton store. When not at the shop you will find Arni tele-skiing, climbing, biking or trying to catch any kind of fish that is willing to bite.